We test the new 2018 G5 Prime Logic, which replaces Prime’s Centergy, a bow best known for its steadiness, forgiveness and general shootability. The 2018 G5 Prime Logic replaces Prime’s Centergy, a bow best known for its steadiness, forgiveness and general shootability. Despite often being referred to as a short axle-to-axle Centergy, there are some significant differences between the Centergy and the Logic. We’ll get to those, but the Prime Logic does invite comparisons to its predecessor, and since the Logic reflects the same basic design principles as the Centergy, looking at the similarities can be illuminating. First, there are the features that gave the Centergy its name, including the facts that the vertical center of the bow is at the top of the grip, the string is centered along the vertical axis and the balance is enhanced by a design in which the bow below the grip is slightly heavier than the portion above it. The string and yoked cables are the same, as are the flexible cable guard with roller guides and the string stop. The trademark double-cam system, which is what allows the string to be centered along the vertical axis, and which also all but eliminates cam lean, is retained. The riser of the Prime Logic, though shorter than that of the Centergy, appears to be otherwise nearly identical. The key differences being that the Centergy is more reflexed and the riser of the Logic flares around an oval cutout at either end to accommodate wider, redesigned limb pockets. It’s worth noting that Prime’s 82X aluminum riser is touted by Prime to be strongest in the industry and is made from the strongest aluminum alloy currently available. Those wider limb pockets are a key difference in themselves and point to some other important changes. The famous double cams are farther apart. Perhaps in part to accommodate this, Prime has for the first time gone to a split-limb system as opposed to solid limbs. All else being equal, solid limbs are more stable than split limbs. Then again, all else is rarely equal. Prime made the split limbs shorter than the previous solid-limb design to increase their stability. The overall effect of shorter limbs, wider limb pockets, a wider limb system and double cams that are farther apart is to make an already very stable platform even more so. The brace height is slightly wider on the Logic, increasing to 7 inches from the 6.5 inches of the Centergy. The Prime Logic (as well as the Centergy) features a grip that is very close to no grip at all. It boasts Prime’s Ghost Grip Side Plates, which can be removed or can be replaced with Prime’s rubber-molded Ultra Fit Grips. The standard grip is skinny but rounded and smooth. I find it very comfortable, though I can imagine it would be very cold in winter weather. Fit and finish on Prime bows are excellent, both durable and minus any machining marks or other flaws. The test model in Optifade Subalpine looked great. The test bow maxed out at a little over 70 pounds, so I backed it down. After loosening the set screws, limb bolts proved snug but turned very smoothly with no sticking, slipping or chattering. All accessories installed easily. Prime recommends adjusting the rest horizontally with the arrow at approximately 7/8 inches from the riser. After doing this, shooting bullet holes through paper with an unfletched arrow required only a few micro adjustments. There is slightly more weight below the grip, and the result is that the Prime Logic, like its predecessor, avoids the top-heavy feel of most compound bows. In an era of very smooth-drawing bows, the Prime Logic nonetheless manages to stand out. Even the drop-off into the valley is almost imperceptible; the string eases back gradually, slopes off gradually and comes to a firm stop against the limb stops. The Logic comes with limb stops installed, but these may be replaced with cable stops that are provided. The valley is not deep, but it is comfortable, and the cams are not grabby. At the shot the bow pops forward slightly into the hand, but vibration is minimal. Prime touts the steadiness with which the Centergy, and now the Logic, holds at full draw as a result of the grip being at the vertical center of the bow, the string running down the center of the vertical axis, the lack of cam lean and torque, and the bow’s aforementioned balance. They’ve even devised tests to provide objective evidence of this. Subjectively, the Prime Logic does indeed seem to remain rock-steady at full draw. That quality is always worth its weight in gold but becomes even more valuable in a more compact bow, which, at least relative to the Centergy, the Logic is. Related to all that, the folks at Prime tout the quickness with which the Logic can be brought onto target. Arguably the 7-inch brace height of the Logic, with its subsequently shorter draw stroke, also contributes to getting onto target quicker. That is an interesting aspect of brace height that is rarely discussed. At 330 fps, the Prime Logic is not a speed bow, nor is it intended to be. But speed is relative, and 330 fps is plenty fast enough for any hunting scenario. The Logic is all about pleasant shooting and accuracy — nor are the two unrelated. Yes, almost any bow will shoot dimes from a shooting machine. But bowhunters are not shooting machines. 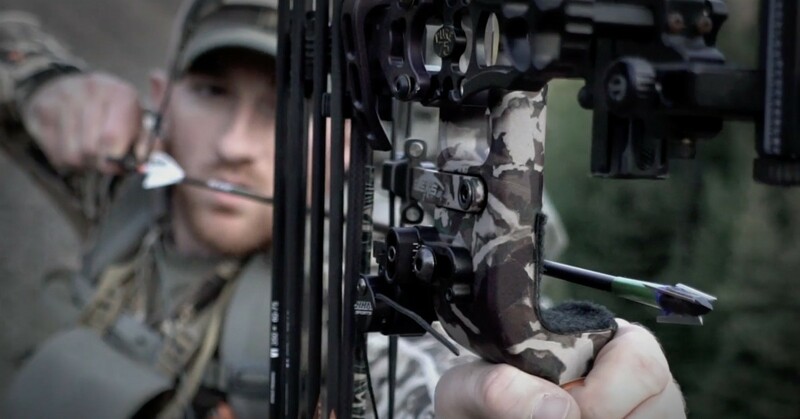 A bow as forgiving as the Logic will boost the consistency and accuracy of the majority of bowhunters. At the same time, a bow as pleasant-shooting as the Logic will allow — and encourage — more and longer practice sessions, further enhancing accuracy. The Prime Logic isn’t a bow for every bowhunter out there — just the ones who really value a tack-driving bow that is unsurpassed in all-around shootability. Author's note: Bowhunting World Editor-in-Chief Jace Bauserman also had the chance to test the 2018 Prime Logic; click here to read his review. Spoiler alert: He loved it!